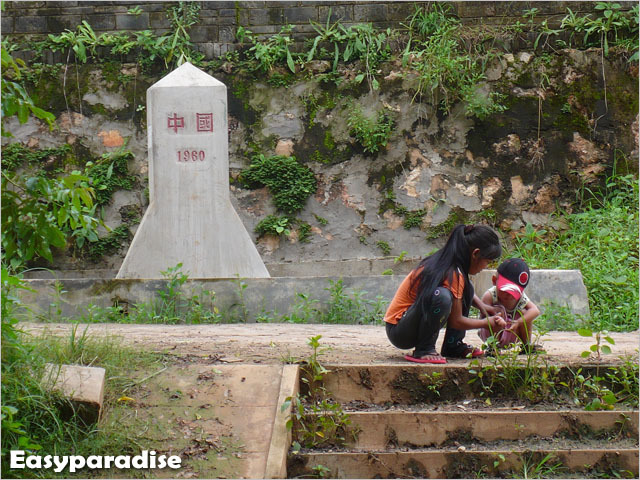 Mengding（Here）is an small but important village between China and Myanmar. 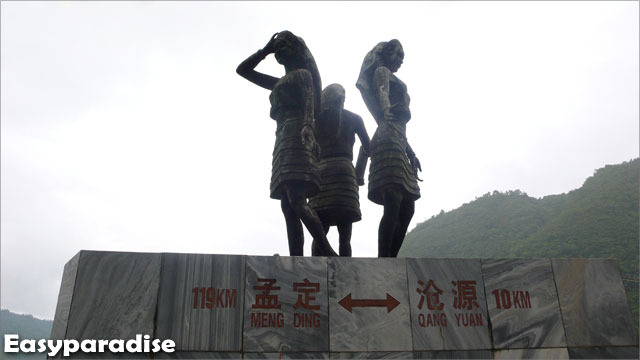 It is 130km away from Cangyuan. My uncle has worked there for ten years when he was young. So we decided to go there to visit some of his old friends. Sculpture of three Wa people. 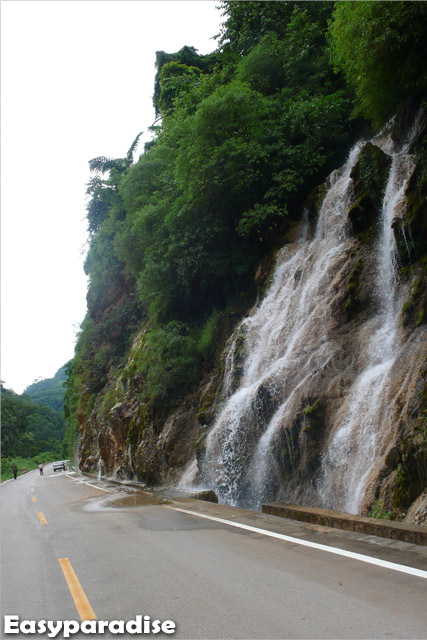 The road was constructed alone the Nangun River, and lot of waterfalls was falling from the mountains in rainy season. A Dai-styled welcome gate. In Mengding lives a lot of Dai people. 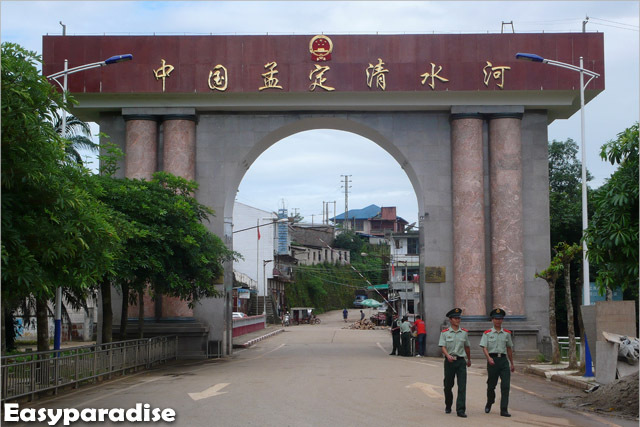 Qingshuihe is an external opening port of national first class. 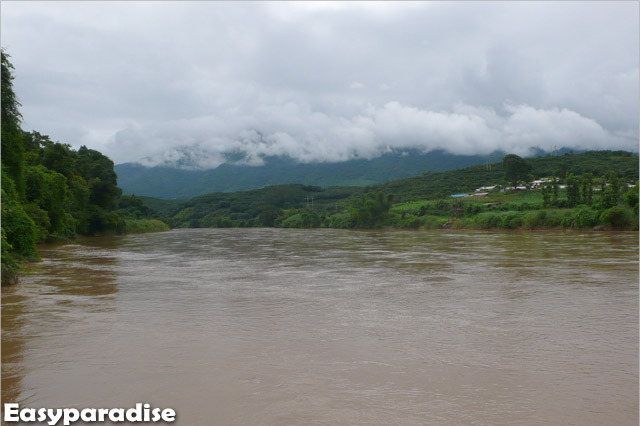 The border river between China（left side） and Burma（right side）. 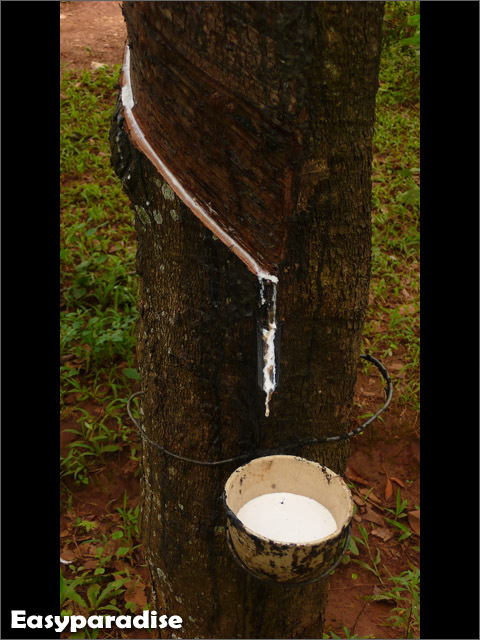 Rubber trees is one the most important properties of local people. However, huge amount of tropical forest was destroied to develop the rubber farming. 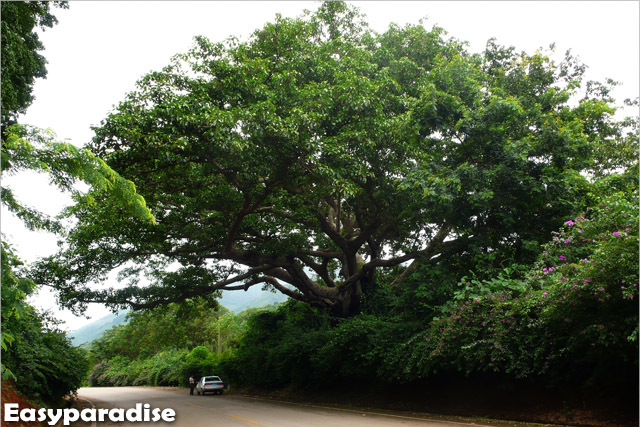 So it is lucky and rare to see such big beautiful trees. Good to see you on the blog again, Mingfei! Who are the Dai people? And Burma has now another name, right? such luscious green in all your pics! Hello jeannette. 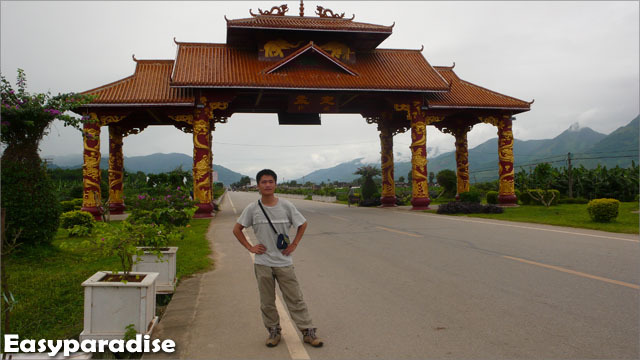 Dai is one of the minorities in southeasten China and Burma. I used Burma because it is easier for to remember, LOL! Hello Mingfei. I did not realise you were blogging again!! I missed your wonderful post and am SO glad to see you back. Love the post on the butterfy and this one. Those waterfalls next to the road ar amazing. Hello Mingfei. I left a message for you yesterday but I do not see it s will leave another. It is great to see you blogging again. I hope that things are going great with you. Love the butterfly in the post below. It looks like you might be on vacation again. I really love that gate. Thanks for you kind comments. So glad you love my works. Now it's my winter holiday but I am spending time on learning German so that I can go Germany to get a master degree. German is similar to English but more difficult!!! Oh I hate it! I went back home to get together with my family and celebrate the Spring Festival for a few days. But I took no photos because time was so limited. Miingfei, I totally forgot to wish you a happy Chinese New Year! Ugh, in high school I didn't pass one grade because of German (my focus was modern language, and at that time when you don't have a C for one of your courses you had to do the whole year over! But German grammar is the same as Dutch, except for der,die, das and die - that always stays the same in Dutch. Why do you want to get your Masters degree in Germany? Thank you jeannette. I was in my home to celebrate the Spring Festival with my family when you were in China. I choose to study in Germany because it is much cheaper than other countries(like US or UK). And the program helps me to do everything from language learning to applying a college in German. Beside, it might be easier to find a job if I can speak another foreign language. Is it common in western countries that one can speak more than two language? I often heard that many western languages are alike and it is much easier to learn a new one.